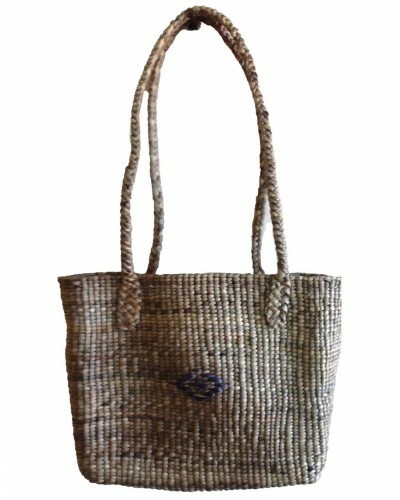 The beautiful handcrafted water hyacinth bag from Kokrajhar, Assam. Size of product: 15" (L) x 8" (W) x 4" (H). This season choose something funny, happy and funky accessories. Go off the tangent; follow a whim and end up purchasing something unique and different. This hand stitched purse is made up of Eco-friendly natural water hyacinth plant. This one of a kind handmade pouch/clutch is of perfect size to hold your small Digital camera, Ipod, Cell phone, Credit cards, ID’s, Cash or anything else you can think of. Perfect for daily usage.